This magazine is currently at concept stage, but again we are looking at a 144 page quarterly magazine comprising of advertising and feature articles. 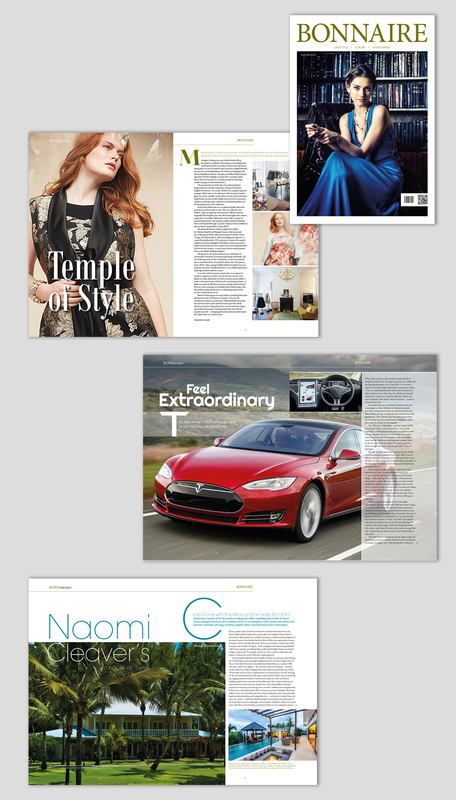 Bonnaire magazine is aimed at wealthy individuals in the UK who would like to invest in the lifestyle market. Articles will include fashion, culture, travel, motor and global investment oportunities.